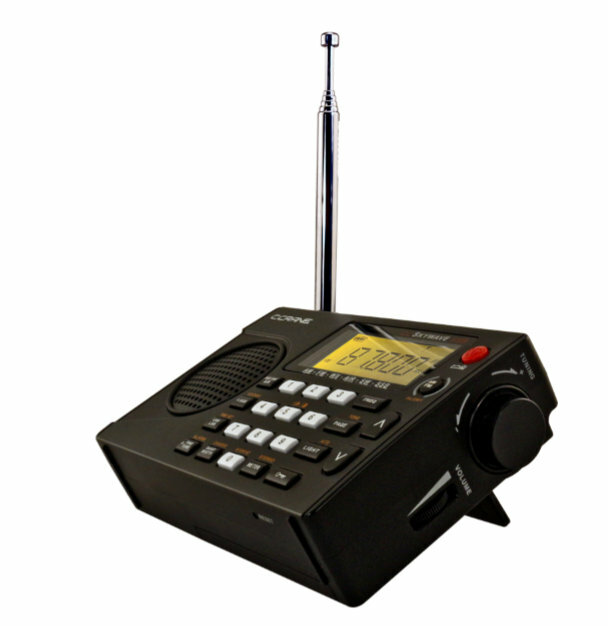 Thank you for your interest in the CC Skywave SSB. Pre-orders can be placed now by phoning in. Pre-orders via the web should be possible in the next week or two. We are expecting to have the first batch ready to ship the first week of September. All pre-orders will be filled first on a first come, first served, basis. I’m guessing that pre-orders for the radio itself can be taken only by phone. (Do you get an instruction manual with it?…) I’m also guessing that the price for this radio will be more than I care to spend. I had a bad experience with CCrane, having to do with a CCRadio-EP that conked out six months after I bought it. They “graciously” offered to sell me a new one for 10% off, but that was the extent of the help they were willing to offer. I don’t plan to buy anything else from them. Crane is taking pre orders now for early November shipment on a first order basis. Just placed my order today. Jeff, can you give us a link to the pre-order page? The price is $169.99. Not insignificant but for a Skywave with SSB that I can take everywhere? Yeah, it’s worth it. I placed my order. The wait is going to be excruciating. Thank you for your inquiry. We do not have a date when the new radio will be ready yet and we do not offer pre-orders on a new product. We want to make sure the radio will pass our extensive Quality Control first, receive them here at CCrane in Fortuna, CA and then they undergo a second Quality Control. You are welcome to contact us again and we will be happy to share any updates we may have with you. I suggest you also sign up for our Deal of the Week specials on our homepage, that way you will be one of the first to know when we have a new product to offer. I am surprised that it doesn’t have an external antenna jack. I’m curious how it compares to the current Skywave and the Tecsun PL660. Otherwise, I will keep my eyes out for it. CCcrane says it will be released in the fall so hopefully not too long of a wait. With so many other, long established options from companies like Tecsun, I really don’t know how SSB will turn a radio like this into a holy grail. C Crane should have been integrating a BFO into their core offering all along. I don’t see how this can be hyped as such, when no one even knows what the price point will be. Who knows who makes these, but it does have that Tecsun look to it. What makes this a “Holy Grail” radio in my world is the combo of features in such a compact package. There’s nothing else on the market like it. 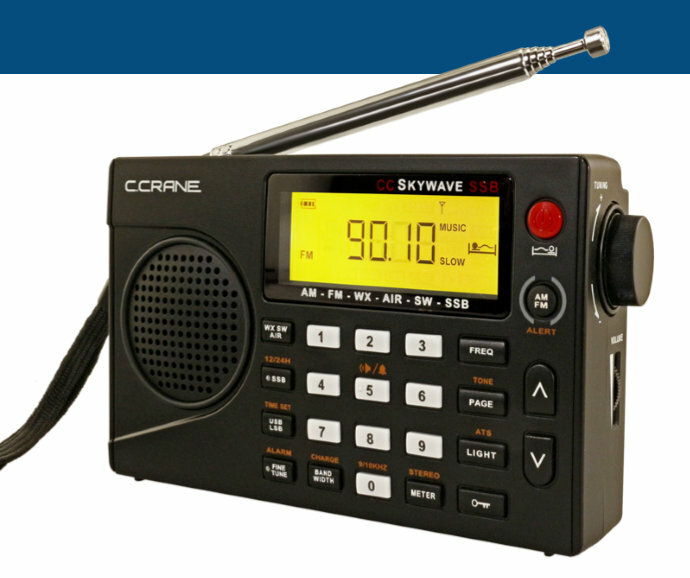 No other radio has AM, FM, SW, Air, NOAA weather radio with SAME alerts and SSB mode. The closest to it was the G6, to my knowledge. 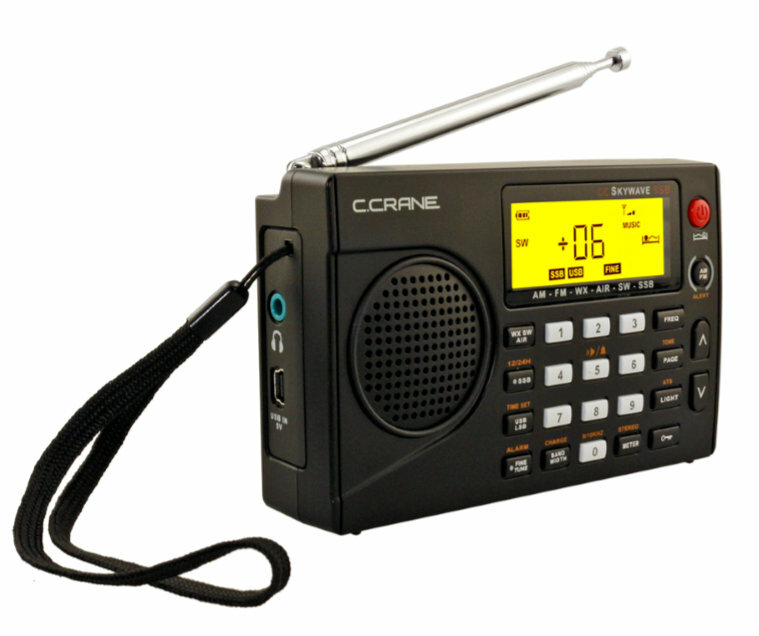 For travelling–if it performs as well as its predecessor–it’ll be a wonderful radio. Now, if I were going on a bit of a DXpedition and size wasn’t an issue, I’d probably take a larger primary radio (PL-880, PL-680, etc.) and still take the Skywave as a backup. That’s what I do now, at least. I hope this is real. This radio will sell like hotcakes! 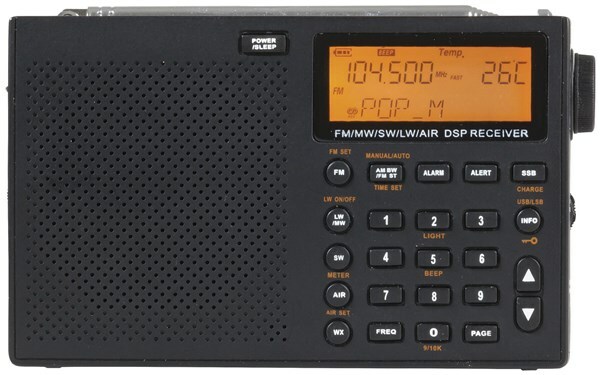 I will buy one the day it comes out, as I have been looking for a small shortwave portable with SSB. I miss my G6 Aviator, even though the air band on that radio was worthless. Waiting for this new ssb model to become available…..
MW is so crowded using a good antenna, I need a Sync mode to get good listening audio. Too bad it does not seem to have this….. Guess I will have to keep using my Sony 2010 and Satellit 800. I might consider the new Satellit if the Sony dies. 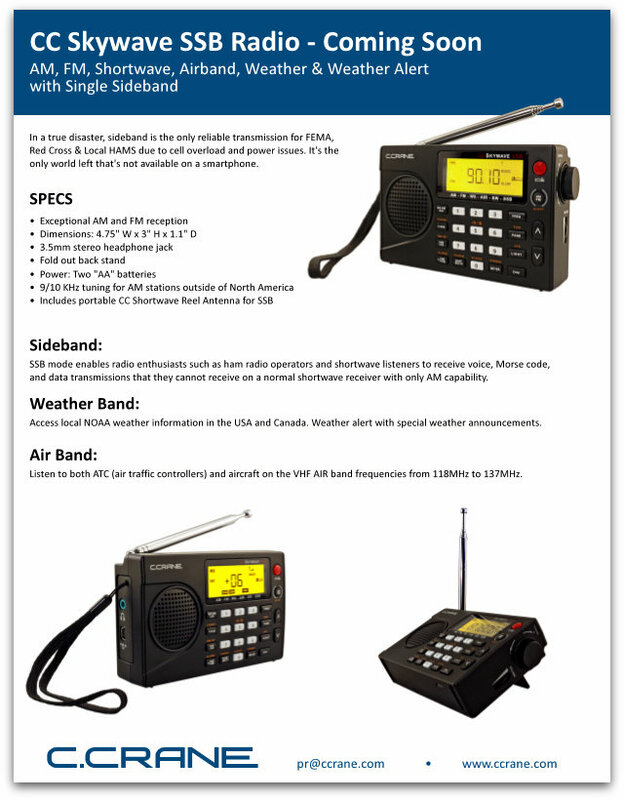 With SSB capability comes ability to decode RTTY, FAX, ALE, NAVTEX, PSK-31 and other digital modes. Good news indeed. Yes, provided is not a lousy BFO job. That said, I’m also happy that uses 2xAAs. Yes, never really understood why anyone with more than a passing interest in SWL would choose a receiver without SSB. It’s not just the “digital” modes, or ham activity (which doesn’t interest me at all), but plenty of other interesting stuff as well e.g. maritime & aero voice & services. Not to mention copying AM under certain types of interference. Trying to decode digital modes using BFO derived USB/LSB is an exercize in frustration. The lousy BFO I’m referring to here, is the basic 455khz type, not proper USB/LSB. I was only half serious with my BFO crack 😉 – I’m more of a digital modes/utilities guy too, though I do sit and listen to the HF aero frequencies now and then. RNZI remains very committed to SW broadcasting although they run only one transmitter at a time now. I hear them very well here on the US West Coast. Other English language SW I hear on a daily basis currently: Voice of Turkey, Voice of Romania, Voice of Korea, KBS Korea and of course Radio Havana Cuba and Radio China International. Also Voice of Greece and NHK Japan was coming in well last week. I’m using a portable Sangean ATS-909X with a suburban 83m full wave loop. 909X has switchable LSB and USB but the only SSB listening I do is HF aero. I get all of the weather I need from MW. I hear R. NZI very well most every day here in central Florida using my Tecsun PL-880 and the 17 foot reel up antenna mounted inside on an the wall. I follow them around on 13840, 11725 and 7425 kHz. BTW I also hear them equally well on my Sangean ATS-818 and ATS-909, but not so well on my ATS-909X. I have both a Sony 7600 GCR and a Skywave. The Skywave is smaller and lighter but doesn’t receive SW signals anywhere as near as well as the Sony with just the whip antenna. Of course, the Sony costs at least twice as much. The real question is what the price of the new Skywave will be as well as whether it’s ability to receive shortwave with the whip antenna has improved. I hope so. We shall see. Impeccable timing Cap and Thomas. I had planned to order the AR-1780 later today as I would really embrace a compact radio with SSB. I might still order it since the price isn’t astronomical by any means. Let’s see how I feel after dinner and some ale! (OK so watch me, I’ll probably buy it. )I will now watch for updates on the Skywave SSB. Thank you! Good DX all!